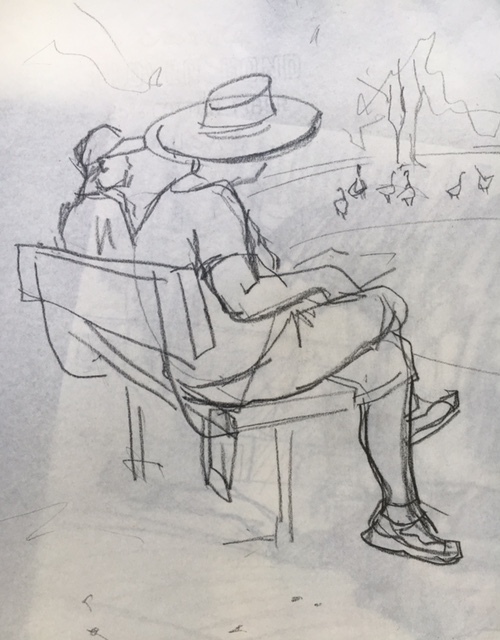 Tallahassee Florida USA sketchcrawlers met at Lake Ella Park. 16 sketchers checked in with me! Great turnout! 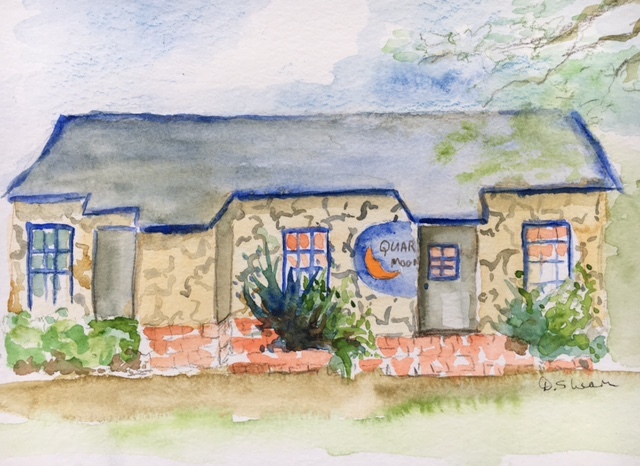 There are quaint stone-cottage specialty businesses, air-conditioned cafes/restaurants, clean public restrooms, benches in the shade of old oaks and new decorative landscape, plus the large pond with giant fish, turtles, ducks, plus dogs and their people. The weather was great in the morning, breezy and cool. 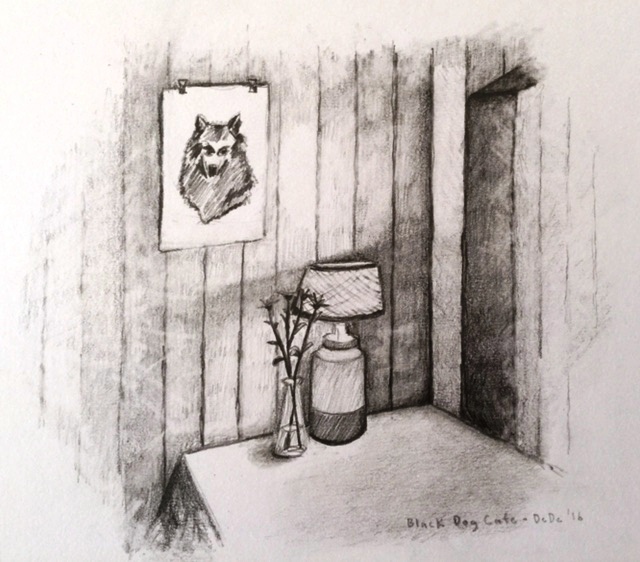 We met at Black Dog Cafe to enjoy each other's sketches and refreshments at noon. Then the heavy rain poured down, so hopefully Bill and Dede returned home safely on their long bicycle rides. At least the weather wasn't as hot as usual. 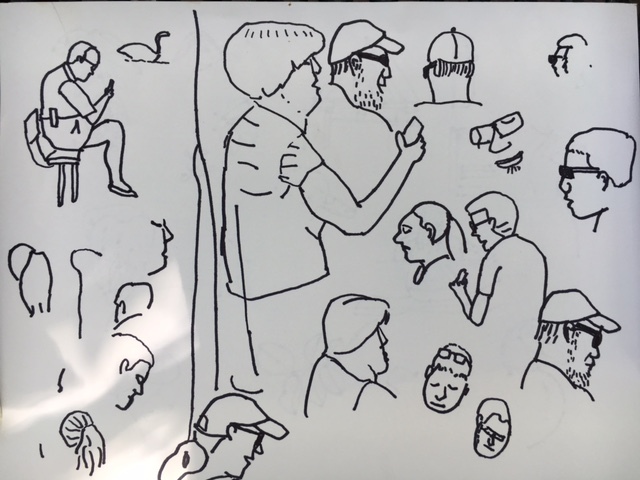 A few of us spent the second half of the day sketching inside the cafe (the trees were dripping a lot) or at Barb's Brittles/ice cream shop with home-made ice cream. Wishing Melinda a "get well soon" after her surgery! PS We also went early to the Tallahassee Museum on Sunday, July 31 for FREE: Special thanks toGwendolyn and Sarah W. and Gwendolyn for our "closing reception" 4-6 pm :Fresh fruits, healthy bread, Lemonade and 2 kinds of tea were served. For WWSC 53 in October we plan to go to Quincy Porchfest music and architecture festival by invitation of Mainstreet, Quincy and Gadsden Arts Center. Thanks for your quick send of JPEGs, people who sent in JPEGs by emai and uploaded their own images! Last edited by markfletcher on Thu Aug 04, 2016 9:42 pm, edited 19 times in total. Wow...your soonest upload makes us happy to see so nice drawings at a wonderful park. And well-timed shower even! It's always been a tradition with me to check in early on what Tallahassee has done this time around. The pencil sketching was very well done, and several that used a little splash of color jumped out nicely. Well done, guys. Thank you for checking in , Gale & BH! I just received a few more in the email I'll upload soon, after I check out your pages! What a great group and a wonderful variety of work. Nice techniques and expressive. The pencil work is impressive. Dottie Shearn's stone cottage looks so lovely that I was lost in fairyland while I was appreciating it. I can see great variety in materials and styles in your group every time. Wonderful drawings from your group of talented sketchers! I like the awesome pencil sketches and the "Lichen, Twigs and Leaves"
Thanks for the detailed story from your day. I will check in again in a few days. Please check again above for some updated results: After almost a week, I have time to upload my own sketches! Mark, your Hoonking Goose's long neck is very lively as if I see it there. And your Cypress tree drawing lines are so powerful too. As the organizer you might be very busy. I admire your concentration on the moving subject and drawing itself with dark parts. 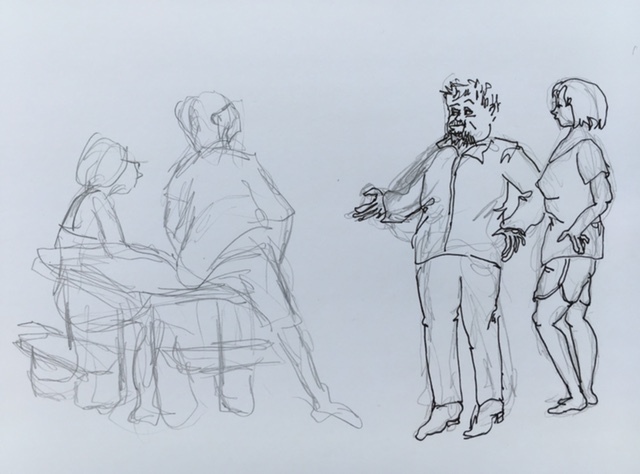 At first visit I felt similar feelings as in poses of Cezanne's works at the Seated Sketchers by Natalia. Small ducks are drawn with simple lines though which give balance and story for the drawing in my point of view. 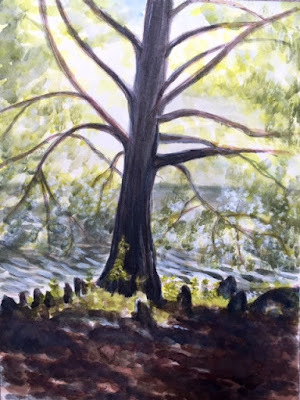 I love to visit Tallahassee page because all sketchers show their unique styles freely from which I have the valuable chance to think about how to begin and develop steps in nature drawing. 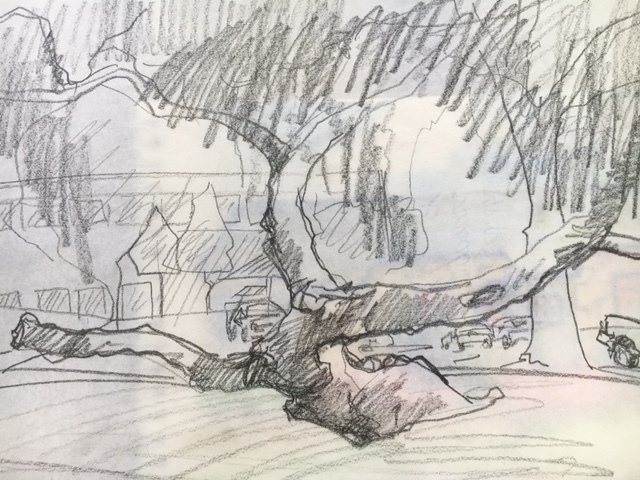 Thank you Mark and all the participants for sharing your great sketches for us! Thanks for your continuing check-ins, BH!